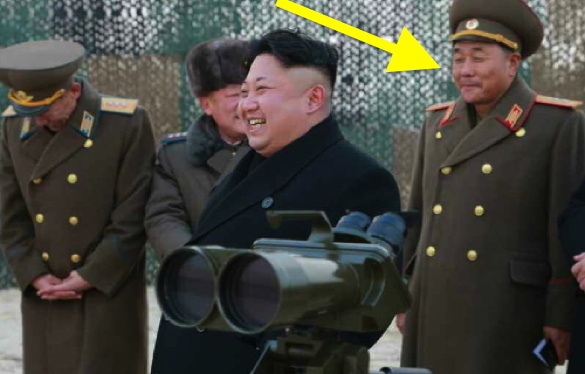 Kim Yong Bok, then Lieutenant General, (annotated) in December 2014 (NK Leadership Watch file photo). Colonel-General Kim Yong Bok is a special operations forces [SOF] commander in the Korean People’s Army [KPA]. Col. Gen. Kim is commander of KPA Large Combined Unit (taeyonhap pudae)#630 which is part of the XI Army Corps (a.k.a the Storm Corps). He is also a member of the Workers’ Party of Korea [WPK] Central Committee. He was elected a member of the WPK Central Committee during the 7th Party Congress in May 2016. In 2017 he was identified as commander of KPA Large Combined Unit #630, the largest SOF unit in the DPRK. He was promoted to Colonel-General (sangjang) in April 2017, a promotions order which included other members of the KPA high command with close ties Kim Jong Un. In the summer of 2017 he planned a large SOF live fire exercise which was observed and guided by Kim Jong Un. It is not clear if Col. Gen. Kim concurrently serves as head of the XI Army Corps and KPA Large Combined Unit #630 or is just commander of the latter unit.